A new interdisciplinary research institute in South Africa to fight tuberculosis (TB), HIV and related diseases has today been announced, following a merger between two leading research institutions, with UCL as a key academic partner. The new organisation, the Africa Health Research Institute, is located at the heart of South Africa's TB and HIV co-epidemic. 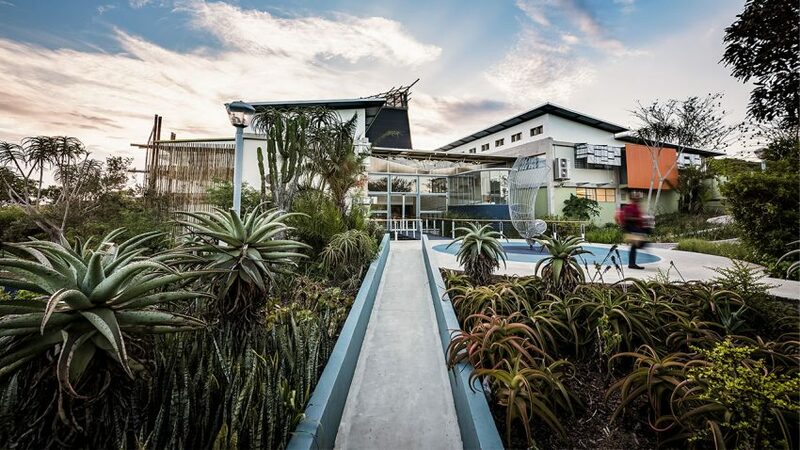 It combines the Africa Centre for Population Health's detailed population data from over 100 000 participants with the KwaZulu-Natal Research Institute for TB-HIV's (K-RITH's) basic science, experimental medicine and world-class laboratory facilities. The new venture is made possible through £63m in grants from Wellcome Trust and the Howard Hughes Medical Institute (HHMI), with UCL (University College London) and the University of KwaZulu-Natal (UKZN) as significant academic partners. The Africa Health Research Institute's interdisciplinary 'population to laboratory - and back to population' approach to addressing the TB and HIV co-epidemic comes at a critical moment. Despite advances in antiretroviral therapy and talk of the 'end of Aids', HIV and HIV-related TB remain devastating diseases - with TB among the leading causes of death in South Africa. The province of KZN has the highest HIV burden, while TB is responsible for more than 14% of all deaths here. The emergence of drug resistant strains of TB and HIV meanwhile present a major public health crisis. The Africa Health Research Institute is committed to working towards the elimination of HIV and TB. To achieve this, the institute will bring together leading researchers from different fields, use cutting-edge science to improve people's health, and help to train the next generation of African scientists. Wellcome Trust and HHMI are two of the largest funders of biomedical research and the establishment of the Africa Health Research Institute represents the first time these organisations have partnered in the global health arena. The complementary strengths of our partner institutions allow a broader scope of interdisciplinary, translational research that is relevant both locally and internationally and is underpinned by strong policy engagement. UCL Professor Deenan Pillay, Director of the Africa Centre for Population Health, and incoming Director of the Africa Health Research Institute, said: "KwaZulu-Natal is at the centre of the dual epidemics of HIV and TB. This is the one place in the world where the marrying of disciplines can have maximum impact on new HIV infections and TB transmission. We will link clinical and laboratory-based studies with social science, health systems research and population studies to make fundamental discoveries about these killer diseases, as well as demonstrating how best to reduce morbidity and mortality." Laboratory facilities at the K-RITH Tower Building in Durban include state-of-the-art Biosafety Level 3 (BSL3) labs, which allow scientists to safely work with dangerous airborne diseases such as TB. We are also host to Africa's only microfluidic chip-making foundry, where scientists are working to develop low-cost, sample-in-answer-out disease diagnostic devices to address the HIV and TB epidemics. The Africa Health Research Institute's research is truly collaborative, working with over 60 academic and clinical institutions in South Africa and elsewhere in Africa and the world. Professor David Lomas, UCL Vice-Provost (Health) said: "UCL takes a collaborative approach to tackling major global challenges and forging successful partnerships is a key priority and strength of the School of Life and Medical Sciences. Our commitment to the Africa Health Research Institute builds on our role as one of the world's leading centres for biomedical research. The Africa Health Research Institute will become a significant global partner for UCL, in line with our Global Engagement Strategy, and will strengthen the translation of our research into new therapies that address the HIV/TB co-epidemic and benefit human health."